Chances are you've already spent some time with the NIS in the beta, but our awesomely customisable interface system is now live! 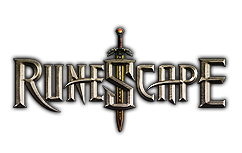 Whether you're a die-hard fighter, a super-efficient skiller or a wide-eyed explorer of RuneScape's vistas, every element of the interface is now yours to snap-to, resize and rearrange as you please. If you aren't sure where to start, press 'Escape' and choose from a range of presets, geared towards combat players, skillers, and those who simply prefer the look of an old-school interface.